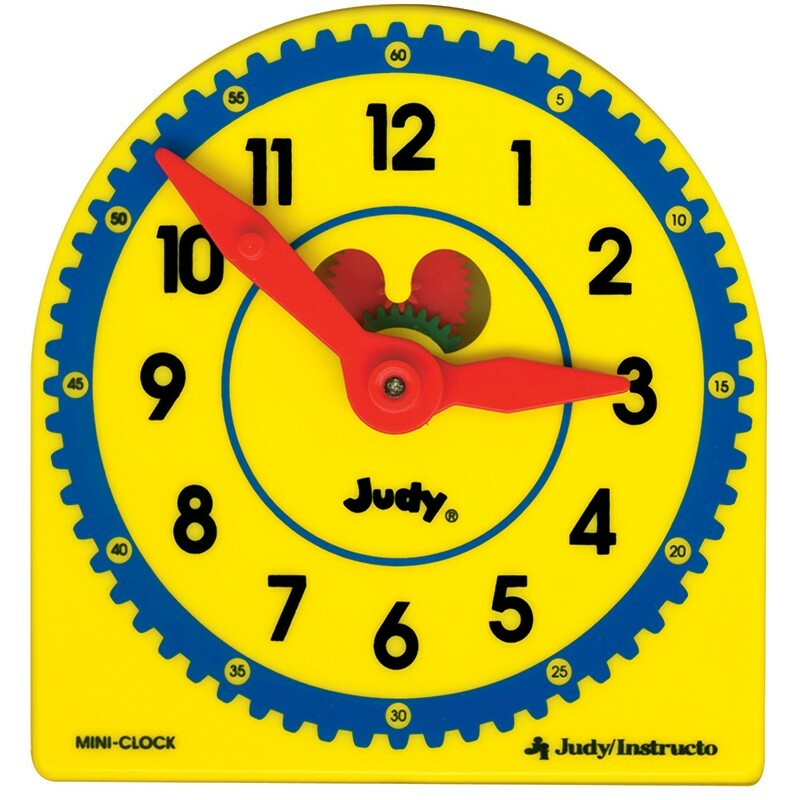 These plastic 5" x 5" miniature Judy® Clocks bring the complexity of geared movement down to a hand-held size. The classroom clocks are made of bright yellow plastic with knobbed hands to help make practicing time skills easy for little fingers. The hour and minute hands move independently and a clear, plastic window reveals working bright red and green gears! This set contains 6 Judy clocks.